Banksy, Boydie and Benny here again – aka the Basketball Blokes! It was tough for Boydie to fit his big head through the door of the recording studio this week, but you have to give it to the man – He now sits 2nd overall in the competition! The biggest win for Boydie was bringing Nick Kay into his team at 7% ownership and making him captain, as he went on to top score for the round with a huge 129 fps! Speaking of Perth players, Brandt and Terrico certainly hurt owners last week, with big Gus going down early in the first game on 8fps and sitting out the second. Terrico White caught us off guard, and was held out of both games with a slight hamstring strain. Both face fitness tests this week, so watch this space. The other big news for the week is Demitrius Conger is back! He has replaced the now axed Adris DeLeon, who learnt of his fate prior to his last game in the league, but professionally played out the game. Conger averaged 19.7 points per game, 5.6 rebounds, 2.7 assists and 1.1 steals, while finishing second in MVP voting for last season. We discussed Conger on this weeks podcast, and imagined he would be priced at his past production in the league, somewhere around $1.4-$1.6m. Strangely enough Conger is priced at the new import price of $1m, and represents value, if not for Adelaide’s poor short term fantasy schedule. These players have received major price rises after Round 5. There is a bunch of familiar faces once again on this list, with Bogut, Long, Barlow, Froling and Trimble all rising the maximum for a couple weeks in a row (at least!). Although Trimble and Barlow’s down week last weekend could mean that they don’t go up after this round depending on what they score. Jawai and Richard also bumping up the maximum, are they possible inclusions into your teams for the upcoming rounds? NZ do have a good schedule for Richard, especially with Armani Moore out at least another Round. Boone, Randle, Jervis, Wear and Pledger all on the list for 2 weeks straight at the maximum price reduction! That’s gotta hurt if your holding 2 of them in your team! Do you cut now or hang on and hope to make that cash back in the next couple of weeks? Melbourne, Perth and Sydney all have some doubles either this week or in the next couple of weeks. If you don’t have Randle, is he looking attractive at this price to pick up? Might be worth waiting for Round 8 when Sydney start 3 rounds of straight doubles. We will start trade target talk this week with the most likely trades we will be looking to do in our BasketBall Blokes joint team. For this week we are looking to trade Bogut out for Tai Wesley and Wiley out for H Froling. Our reasoning for the first trade, is to take advantage of Wesley’s doubles over the next 2 weeks instead of Bogut’s 2 singles. The second trade in Froling will see us bring in a player who is in great form and is likely to keep increasing in value in the short term for a bit of value, and is essentially a cash grab. As discussed in our podcast this week, other possible inclusions for your teams might revolve around NZ players as they have doubles over the next 2 rounds, so if you don’t have Wesley, Long or even at a stretch Richard – or in Benny’s case, Shea Illi….. these are the guys you should be looking at. Perth also have a run of 4 doubles after their Round 6 single, so Perth players should be on your watchlist and in your forward planning. You may even like to start to get some of these guys in your team if you are lucky enough to have some luxury trades up your sleeve this week, similarly to Boydie bringing in Kay last week, which saw him soar through the ranks into second overall! It’s this time of the year where you need to start thinking about the longer term, and for us that means making sure you have the players and money available to get Bogut come Round 8. A NZ player to Bogut works in perfectly, as NZ’s doubles run ends after Round 7 and Sydney’s starts as of Round 8. Also like Benny, you might want to make sure that you have trades available to reduce your Melbourne united player numbers as we are running with either 3 or 4 this weekend here at the BasketBall Blokes. Melbourne have a single in Round 7, prior to one more double, before a sparse run of 6 singles in a row! You won’t want anymore than 1 maybe 2 players sitting on your bench if they are Melbourne players for that run of singles. Firstly we need to note there are only two teams on a double this week – Melbourne and New Zealand. It is far too risky to be captaining someone on a single, although Bogut’s ceiling and consistency may eventually see us thinking otherwise. Melbourne have had a busy schedule to start the season, and started to show signs of fatigue as they head into a less demanding schedule after this week. New Zealand play Melbourne at home, followed by Sydney away. Melbourne play New Zealand away followed by Brisbane at home. Richard has shown both some ceiling and consistency with Armani Moore out of the team, coming off a 50 and a 51 last round. He also scored 50 against Melbourne earlier in the season, but a poor score of just 5 against his other match-up this round in Sydney. DJ Kennedy has also shown a ceiling already this season with a 75 and a 63. His scoring has declined more recently due to a combination of CG43 back in the lineup as well as some terrible calls that have left him in foul trouble, and as a result, so has his fantasy scores with 26 and 32 in his last two. Casper is coming off his best fantasy round to date. 99 fps for the round and coming off a huge 56 last game out. The worry here, is he scored just 12 against NZ last time out, and his fantasy score is heavily reliant on his shot dropping. With the interior defense of Long and Wesley, I fail to see where Casper’s ceiling will come from as a captain option this week. 3. Josh Boone – We saw the best and worst of Boone last week fantasy wise. A huge 70 in his first game against the Hawks and according to twitter Boone was back to his best! Three days later and a 19 had owners thinking otherwise. The take away for me last week, was Boone played 31 and 24 minutes, to Pledgers 8 and a DNP. This tells me Boone is healthy, and when he is healthy, shared minutes are not a concern. 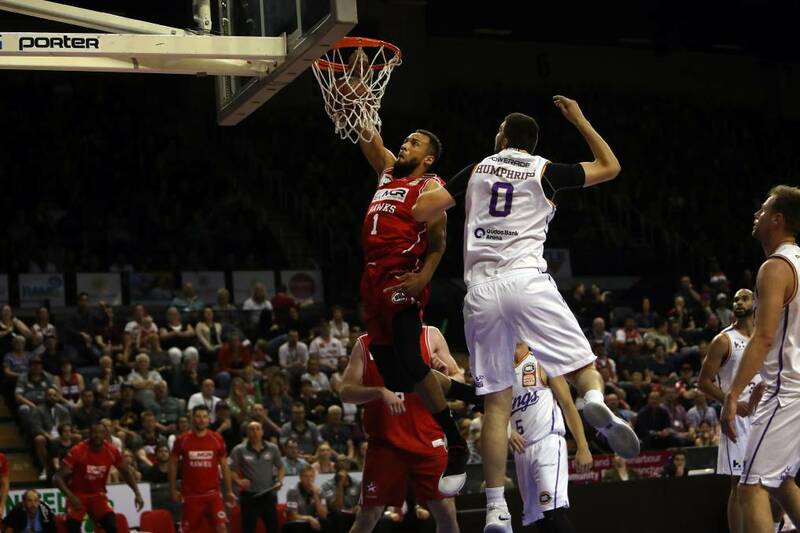 Boone had just a 24 against the Breakers in Melbourne, and now travels to New Zealand before a home game against Brisbane who he is yet to face. 2. Tai Wesley – The safest captain option for the round. The Grown Man, aka – Mr Consistency always finds a way to get to that 40 odd fantasy mark game in and game out. Last match-up against Melbourne he went 42 and against Sydney a 41. 5 out of 7 scores this season have been over 40+ fps, and is yet to dip below 30. Safe, but also unique with only 13% ownership. 1. Shawn Long – Ceiling, ceiling, ceiling. It is what you want in a captain is it not? The problem for Long is foul trouble. We saw it last game. He looked amazing soaring to what felt like 30 odd fantasy points in the first quarter, only to spend the second quarter benched in foul trouble, with much of the same coming in the second half as he fouled out. Went through a patch of 3 straight games of 50+ fps. Scored 39 against United in an away game earlier in the season and now plays them at home. Went huge with a 61 against Sydney last time out. Long at his best is 100+ on a double and then some. Not the safest option, but you have to risk it for the biscuit! Only Melbourne and New Zealand on a double this week. Note, that United have 1 double over 8 weeks after this round, so ensure you are not rolling with too many Melbourne players with only 2 trades a week. Those forward planning, note Perth’s friendly schedule of 4 doubles on the trot as of next round. One week to go to enter the draw to win a (one) basketball signed by the 2017-18 NBL Champion Melbourne United Basketball Club players. We will be announcing the winner after Round 6! The question is: Who is your favourite NBL Fantasy selection on your team any why? It could be that they are unique, cheap, good looking or a good locker room fit. Give us your answers and we will pick our favourite response and announce the winner in our podcast the week concluding week 6 of the NBL season. Head over to Twitter and give your response.